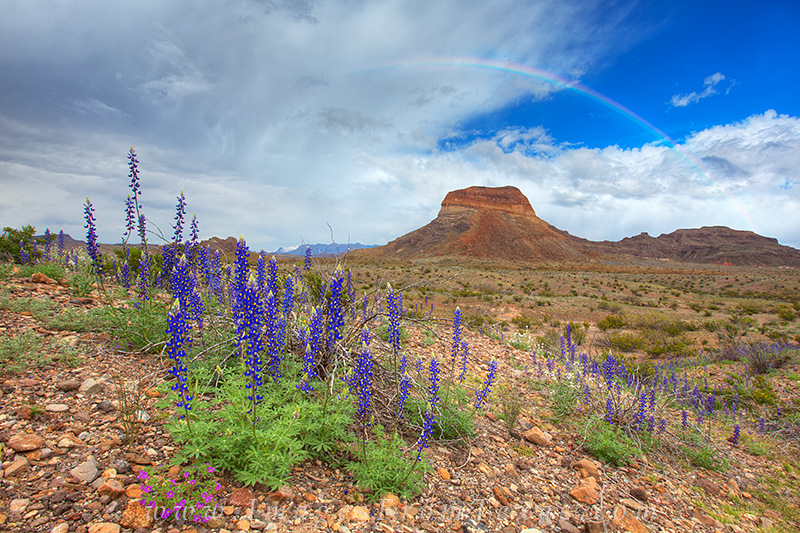 After a storm over the Chisos Mountains in Big Bend National Park, a rainbow appeared in the east as clouds still loomed over the western landscape. Bluebonnets and other Texas wildflowers were thankful for the water, and I was thankful for such a beautiful scene. Photo © copyright by Rob Greebon.